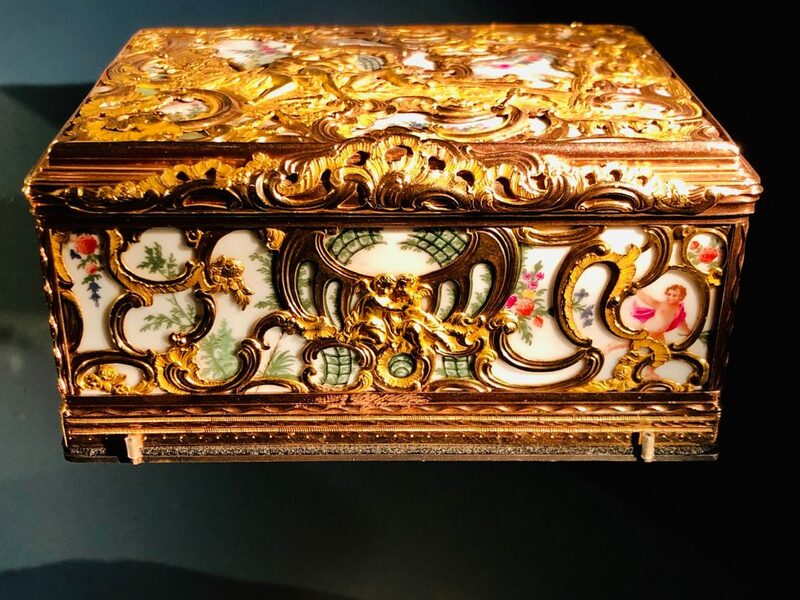 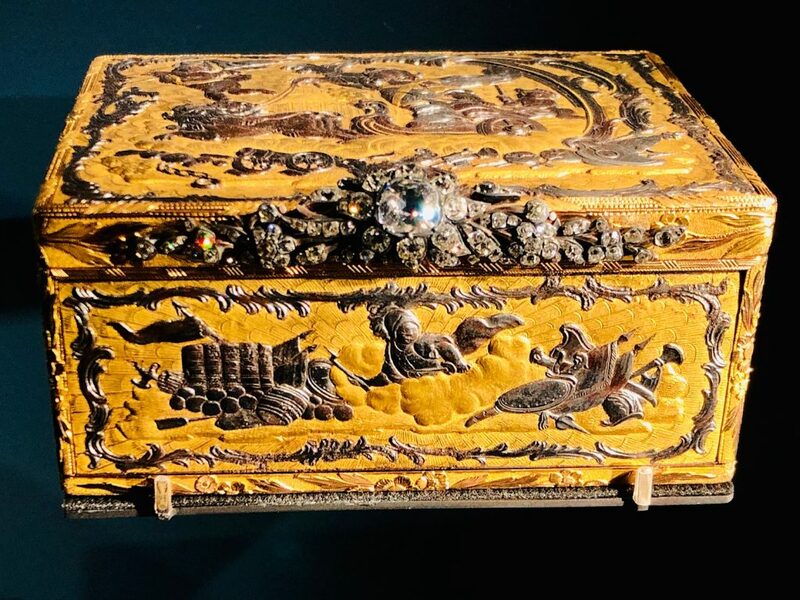 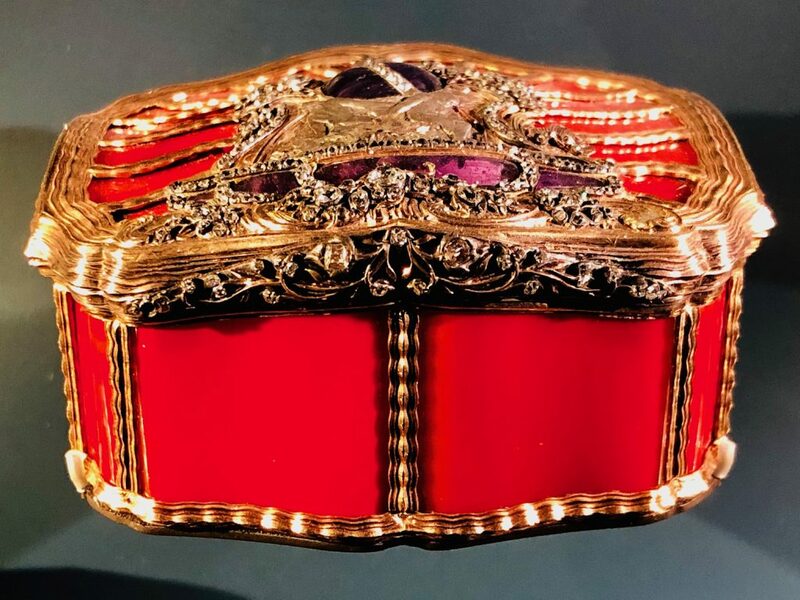 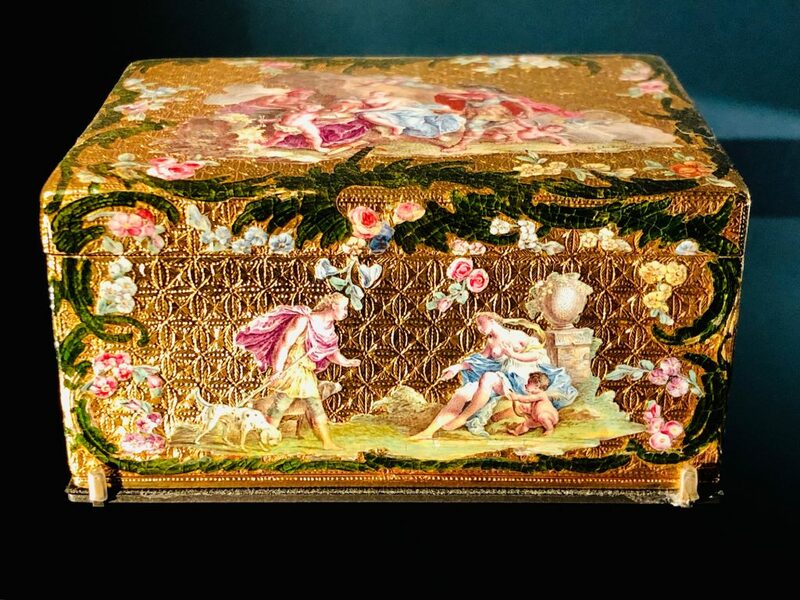 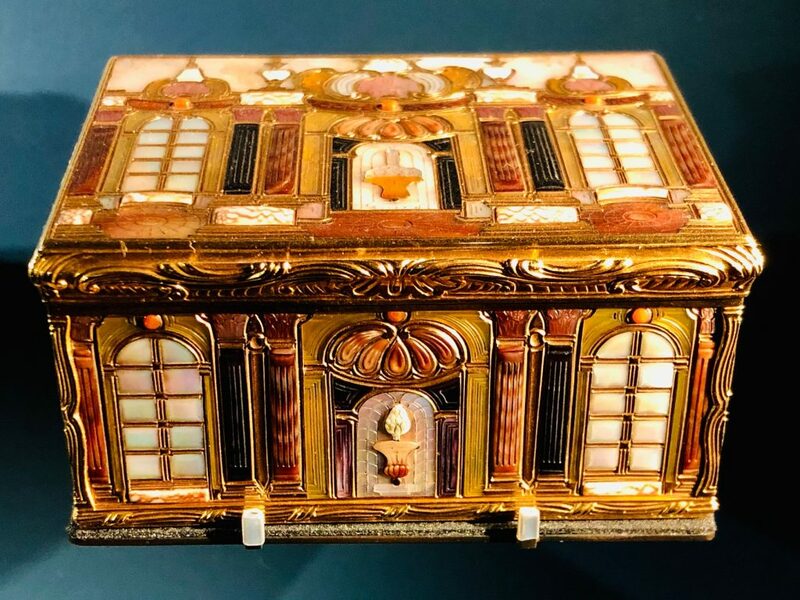 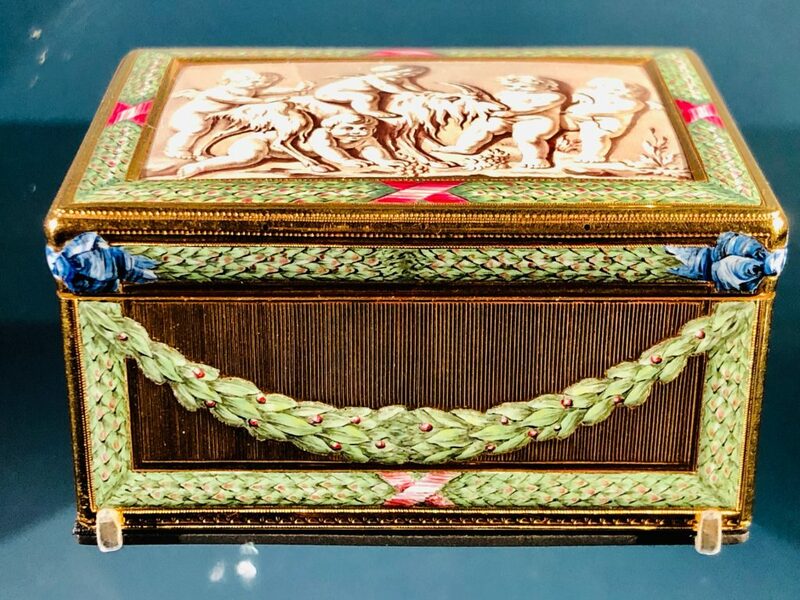 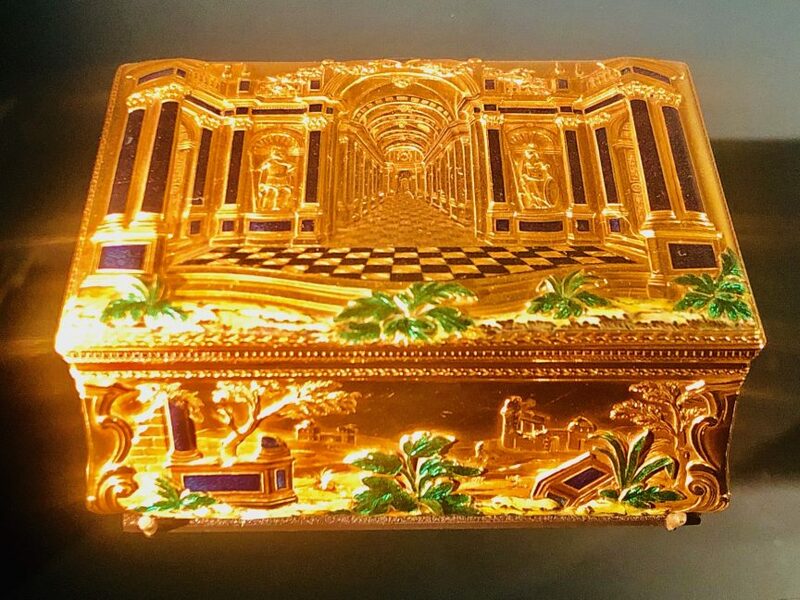 The collection of snuff boxes in the Louvre’s Richelieu Wing is a marvelous display of the extraordinary variety of design and architectural decisions possible within a single, small objet d’art . 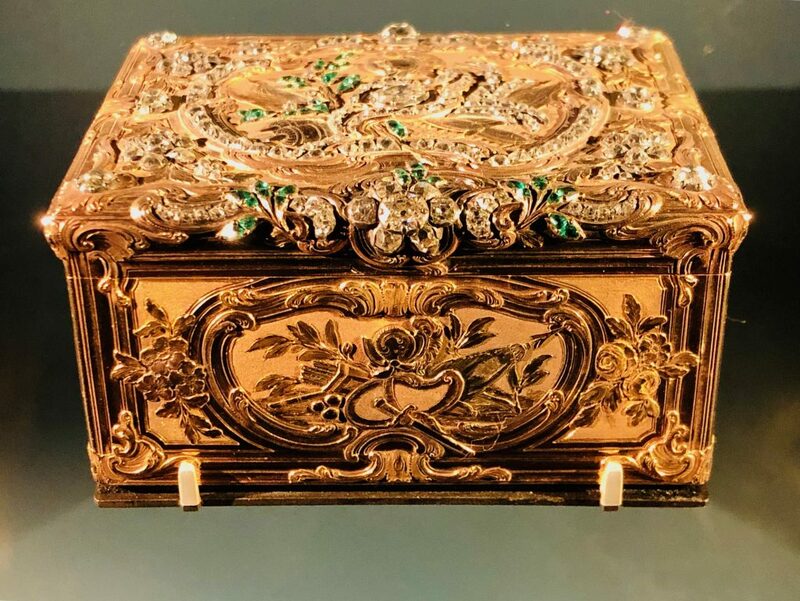 Many of these richly decorated, magnificent examples of the goldsmith‘s art are of Royal provenance, some from the collection of the ill-fated Louis XVI and his Queen, Marie Antoinette. 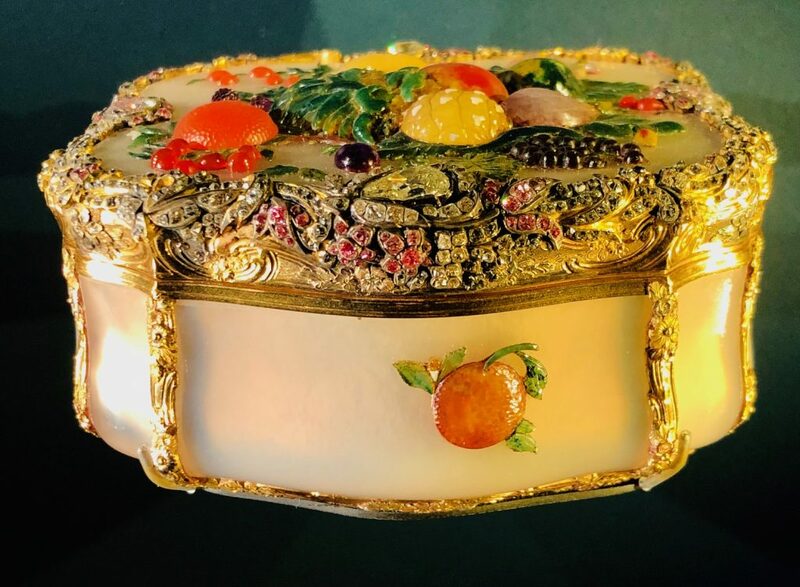 I have been fascinated by these objects for years. 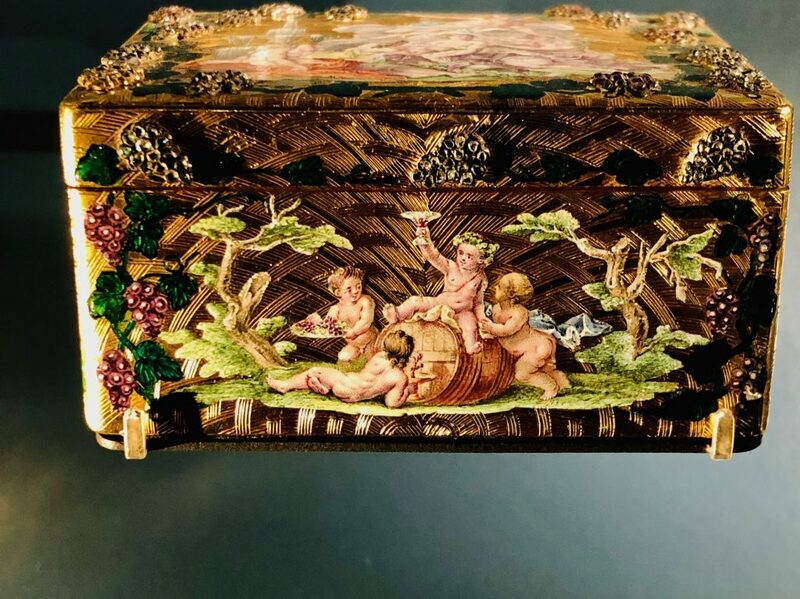 Click here to see more examples captures from an earlier visit to the Louvre, and click here to see more wonderful examples in London’s Victoria & Albert.